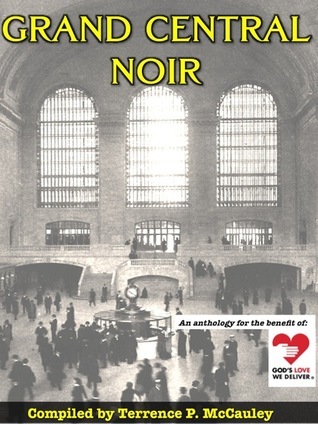 “Grand Central Noir” is a deftly put together and fantastic group of stories using the theme of Grand Central terminal in NYC. Some of the stories are flat out noir, like “Crime” by Marcelle Thiébaux, an absolute knock-out of a story, set entirely in the Grand Central of 1937 that packed so many twists and turns it was impossible to put down. “Spice “ by Seamus Scanlon is set in current day and gets the prize for the ultimate twist ending. “Meet Me at the Clock” by R. Narvaez a great story of con men getting con men, and “Grand Central Terminal” by Terrence McCauley, which uses the terminal as a back drop to start and end the story.The proceeds from the collection all go to "God's Love We Deliver" Every penny.The majority of tales are superb, some are O. Henry-esque and a great summer read. It also introduced me to some viciously talented writers, who’s work I will be devouring. Buy it. Read it. Enjoy it. Grand Central terminal is an impressive, magnificent building. It is probably on every tourist's list of places to see. I saw it on my own recent visit.Unfortunately this book of short stories is not equal to the building they are centred upon. The stories are in the main mundane and easily forgotten, in fact I could not finish the book.I was very disappointed and will not be searching other works of the contributing authors. This is good entertainment, and not just for New Yorkers. There's serious stuff, there's humor, there are various periods and tones. For me at least, this collection didn't hit it out of the park, but enough made solid contact to make me happy. I'd call it more than OK, but not quite on the level of some other short-story collections I've read over the past year. Terrence P. McCauley R. Narvaez Seamus Scanlon I.A. Watson Amy Maurs J. Walt Layne Kathleen A. Ryan Charles Salzberg - Terrence P. McCauley is an award-winning writer of crime fiction and thrillers. His the third novel in his University Series - A CONSPIRACY OF RAVENS is available in all bookstores and e-book formats. The other novels in the series, SYMPATHY FOR THE DEVIL and A MURDER OF CROWS were also published by Polis Books. Terrence has also written two award-winning novels set in 1930 New York City – PROHIBITION and SLOW BURN. In 2017, Terrence's World War I novella - THE DEVIL DOGS OF BELLEAU WOOD - won the Silver Medal for Historical Fiction from the Military Writers Society of America. Proceeds from sales go directly to benefit the Semper Fi Fund.In 2016, Terrence's short story 'EL CAMBALACHE' was nominated for Best Short Story in the ITW's annual Thriller Awards.Terrence has had short stories featured in Thuglit, Spintetingler Magazine, Shotgun Honey, Big Pulp and other publications. He is a member of the New York City chapter of the Mystery Writers of America, the International Thriller Writers, the International Crime Writers Association and the Military Writers Society of America.Terrence is an avid reader, a lover of classic movies and enjoys traveling. He's a huge soccer fan and supports Liverpool FC in the English Premier League and NYCFC in Major League Soccer. A proud native of The Bronx, NY, he is currently writing his next work of fiction.